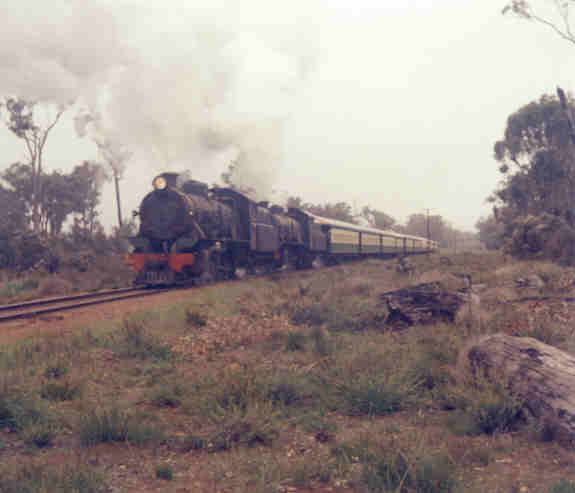 On Long Weekend in October 1970, the WA division of the Australian Railway Historical Society in conjunction with the Western Australian Government Railways operated a RESO tour to Northcliffe. 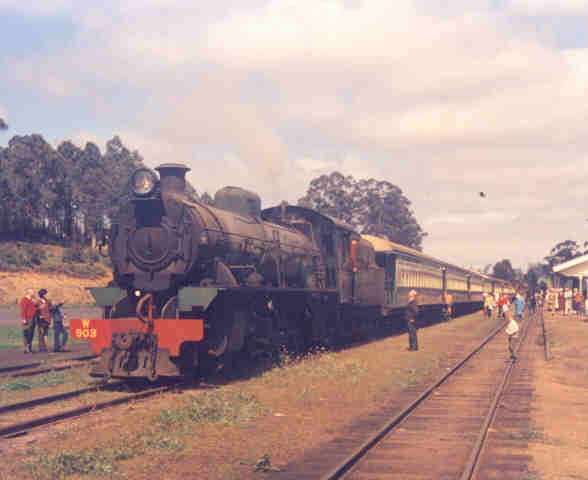 This tour was steam hauled from Bridgetown south through Manjimup to Pemberton and on to Northcliffe using W 941 and W 903 and then return, stopping in Pemberton long enough for well known WA rail enthusiast David Beazley, to capture these wonderful pictures of the train. 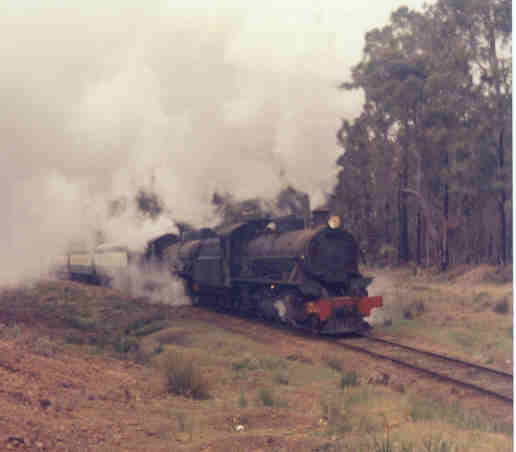 On the left you are looking North towards the turntable and Manjimup. 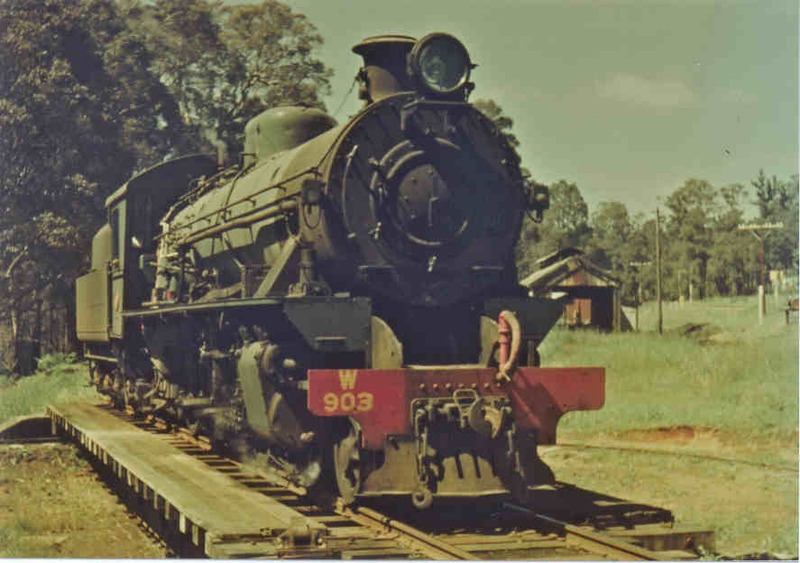 In the Middle W 903 Stands at the head end of the train in the middle road . 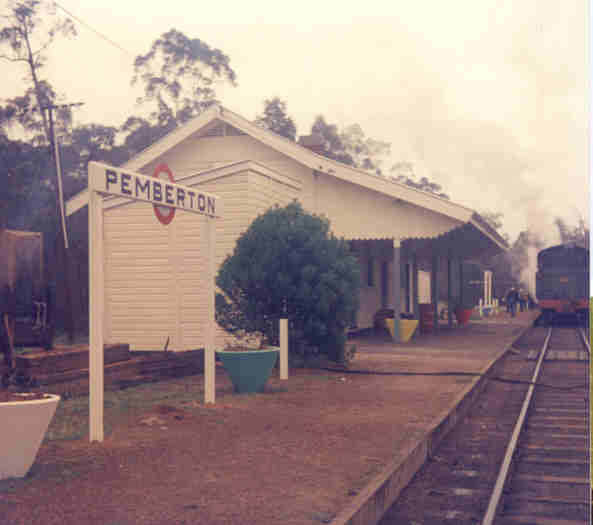 On the right you are again looking North but this time past the station from the south end. 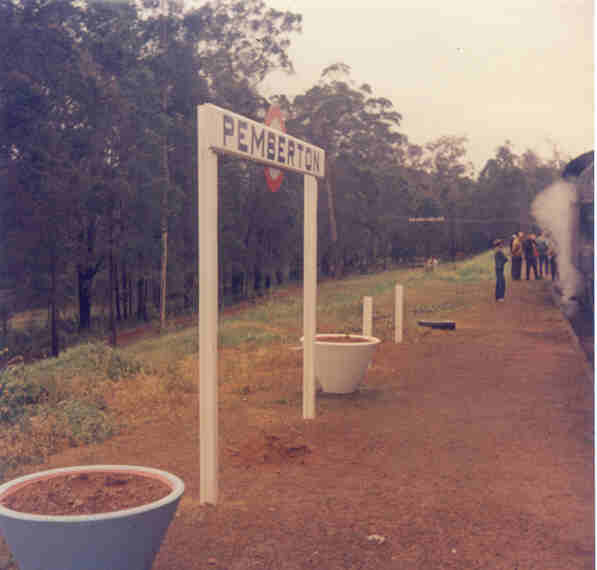 Sand box, flower pots (standard to most country stations), Out of shed, Telephone poles, Stack of sleepers, Name Boards etc.